Stock market today, Sept. 10, 2014: Stock market futures were down this morning after markets took a nosedive in the final hour of trading yesterday (Tuesday). The slide followed a broad sell-off of tech giant Apple Inc. (Nasdaq: AAPL) and investors' heightened cautions over a possible interest rate increase by the U.S. Federal Reserve sooner rather than later. Investors remain concerned that any action by the central bank deemed "too soon," given the fragile economy and stubborn jobless rate, could drag the world into recession. All 10 sectors in the S&P 500 were in the red yesterday, while the Dow Jones Industrial Average was weighed by companies like The Home Depot Inc. (NYSE: HD) and Brazil's Petroleo Brasileiro Petrobras SA (NYSE ADR: PBR), which slipped 2% and 2.8%, respectively. Trouble Brewing: Apple Inc.'s publicity event dominated the news cycle on Tuesday, as the firm revealed a number of new tech gadgets. After introducing a larger, 4.7-inch iPhone 6 and 5.5-inch iPhone 6 Plus, CEO Tim Cook unveiled the "Apple Watch," the first product developed and introduced under the executive's leadership. AAPL stock initially surged more than 4% during the day, but the stock quickly turned back in the afternoon, falling below the $100 resistance level and ending the day down 0.38%. Despite the day's decline, Apple stock is currently a bargain. Be sure to read yesterday's insight from our tech expert Michael Robinson right here on why now might be the perfect time to own the stock. No One Is Safe: Apple's latest foray of fashion meeting practicality leaves no tech firm or designer safe these days. 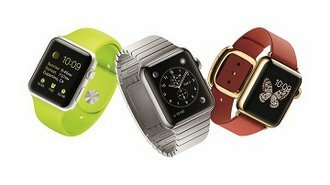 Shares of both GPS device manufacturer Garmin Ltd. (Nasdaq: GRMN) and watch designer Fossil Group Inc. (Nasdaq: FOSL) saw shares slump by 3.4% and 2.1%, respectively, on Tuesday after Apple CEO Tim Cook unveiled the iWatch. Given both companies' recent attempts to break into the smartwatch sector, shares slipped on investors' competitive concerns. Japanese watch and consumer electronics company Casio Computer Co. Ltd. (OTCMKTS ADR: CSIOY) also saw shares fall by 3.33% on the day. Solving the Breach: Following the confirmation by The Home Depot Inc. (NYSE: HD) that the company had been hacked, two U.S. Senators have asked the Federal Trade Commission to open an investigation into the cybersecurity data breach. Meanwhile, five U.S. states have opened their own internal investigations into the breach, which likely affected customers dating back to April. The breach is the largest hacking of customer data from a public company since last year's attack on retailer Target Corp. (NYSE: TGT).